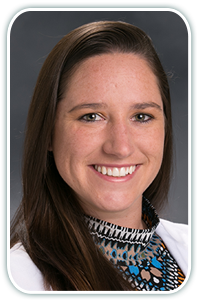 Home >> Providers >> Jessica Tucker, P.A.-C.
Jessica Tucker is a certified Physician Assistant who joined North Atlanta Primary Care in 2018. She is seeing patients in our Sugar Hill location. Jessica is a Georgia native born and raised in Savannah, GA. She earned her Bachelor of Science in Biology from The University of Georgia and her Master of Medical Science from Mercer University in Atlanta, Georgia. Some of her medical interests include preventative medicine, cardiovascular disease and women’s health. She is a member of the Georgia Association of Physician Assistants and the American Academy of Physician Assistants. Jessica lives in the Atlanta area where she enjoys hiking, sporting events and spending time with family and friends.